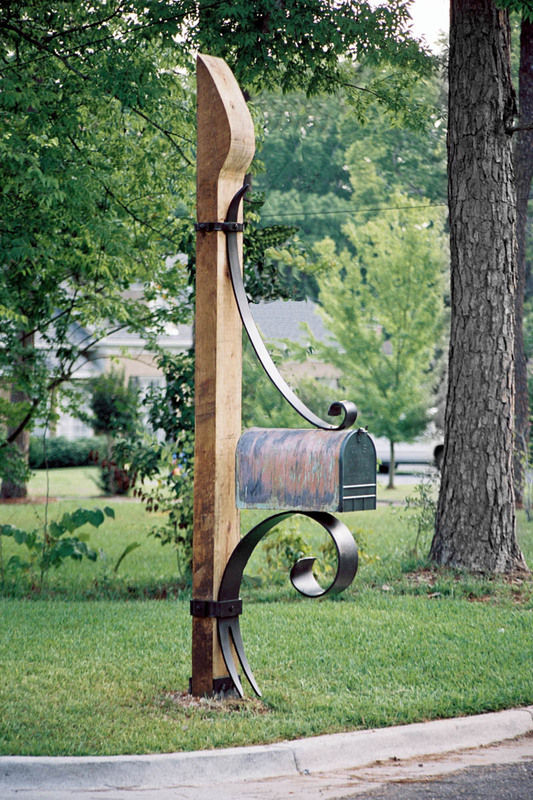 A towering 10 foot carved cypress supports this graceful iron gesture. 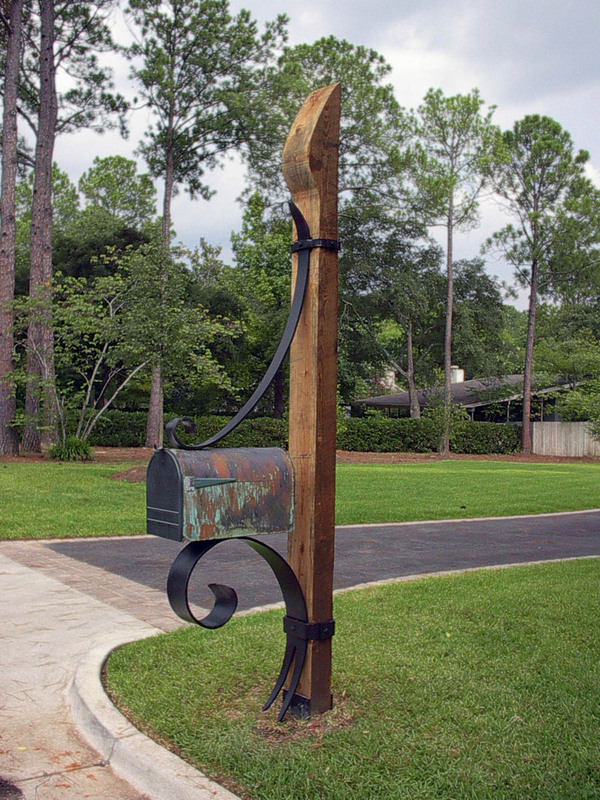 This was our first mailbox design and the massive bottom scroll is the same sized steel bar we used on the inspirational Blount Cultural Park signage. 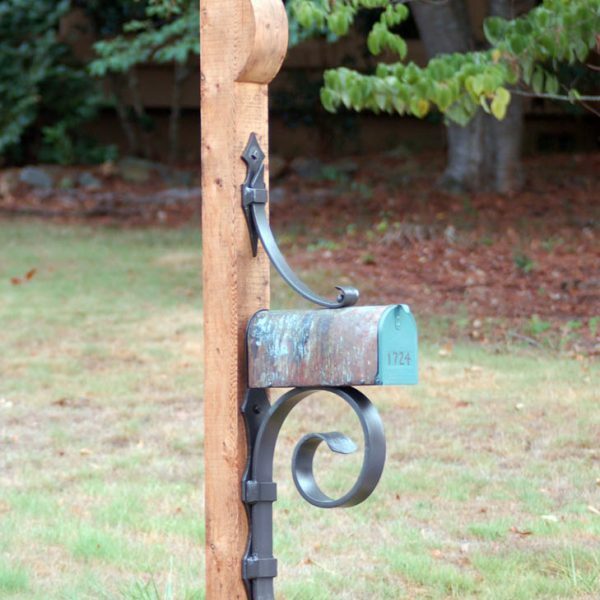 The mailbox is a large rural box clad in copper. 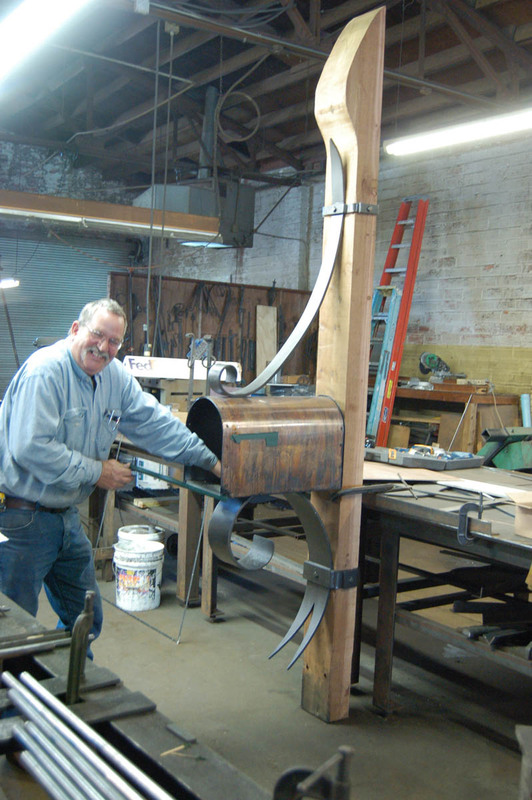 The current design has a larger decorative steel boot to enhance the bottom. 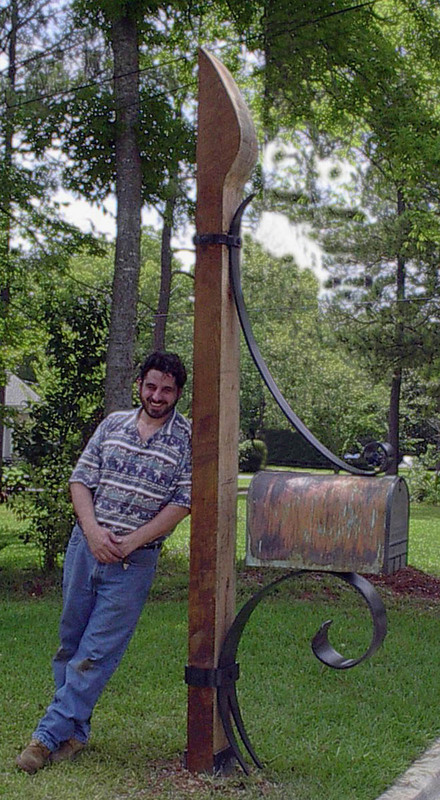 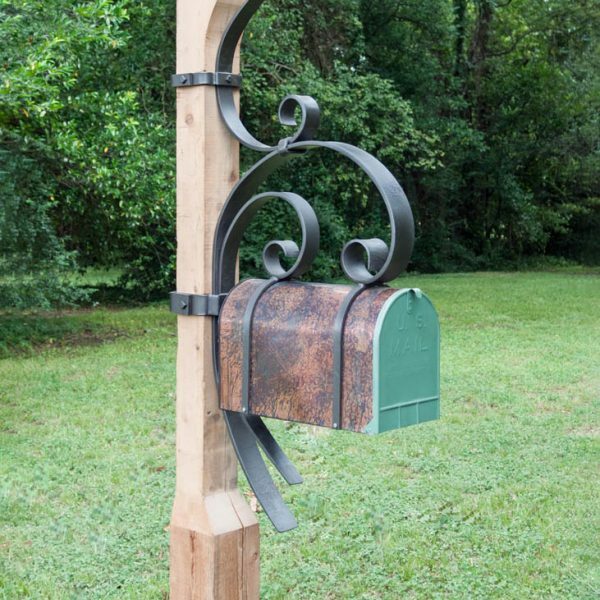 The Cashiers Mailbox is available as the complete assembly or, for those who want to use their own wood, the ironwork with the mailbox is available.